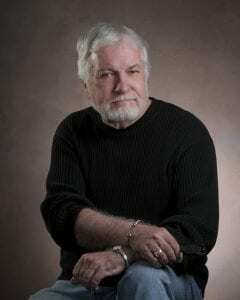 Miramichi author Wayne Curtis has always been a prolific author (this is his eighteenth release) whether he is writing prose, poetry or non-ficton, but the past few years have been watershed ones for his faithful readers. And as Mr. Curtis gets older each new release is more precious than the last one. 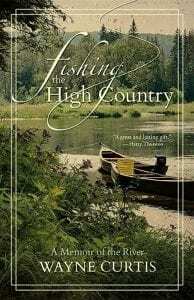 Fishing the High Country: A Memoir of the River (2018, Goose Lane Editions) is no exception. Some, no doubt will claim it as his best, and I wouldn’t dispute it. I think I can safely speak for many that Mr. Curtis is a living time capsule of the Miramichi River (“the mother of all rivers”) and its tributaries, for he spans the years from his grandfather’s time, through his father’s to his own, which is more than seventy years of living and fishing on “the river.” As such, his memoirs are valuable to us who may have recently moved here, as well as other old-timers and future historians who may refer to Mr. Curtis’ works as representative of a way of life that has been existing, yet slowly evolving over time. The river is the only constant, but it too changes in imperceptible ways, moving soil and rocks here and there to alter its course ever so slightly.